Taber police say an Illinois man charged with making fake bomb threats against the community last week used an app to access the town's emergency radio transmissions and that he took pleasure in listening to how crews reacted to the calls. Last week, ten bomb threats were made over a 48-hour period prompting the evacuation of a couple of schools, a health centre, bank and a Walmart in the community. “At approximately 8:30 p.m. on Thursday, February 7th, Taber police received a phone call from an unknown male advising that there was a bomb at the Walmart store located in Taber. Taber police and Taber fire department responded and at almost the same time, the Taber Walmart store received a similar phone call and commenced the evacuation of the building. A search was conducted and nothing suspicious was located, the building was secured and turned over to Walmart staff,” said Taber Police Chief Graham Abela. On Friday morning, police received reports from Westlake Elementary and W.R. Meyers schools about bomb threats made against the facilities and officers responded. A search was conducted at both schools and police say they did not find anything suspicious. A few hours later, Central School also received a bomb threat and another search was launched but once again did not turn up anything suspicious. “While these calls were coming in, Taber police personnel were investigating the origins of these calls and three suspect phone numbers were identified from two schools,” said Abela. The Walmart received two more bomb threats at about 2:15 p.m. and again at 7:10 p.m. and the store was evacuated while crews searched the building but they did not find anything. Abela says the police service also received a bomb threat that day and the building was checked. On Saturday, two bomb threats were made to the town’s hospital and a bank in the community also received a call. The facilities were searched and nothing was found. A technical expert with the Medicine Hat Police Service was involved in the investigation and determined that one of the phone numbers identified originated in Illinois. “We identified the registered owner and determined that they resided in Jackson County, Illinois. Contact was made with local law enforcement and a suspect was identified,” Abela said. Police in Alberta worked with the U.S. Department of Homeland Security and the Jackson County Sheriff’s Department to arrest the suspect late Saturday. According to the Jackson County State’s Attorney Office, Justin Bagley, of Elkville, Illinois, is now charged with 11 counts of disorderly conduct. “Mr. 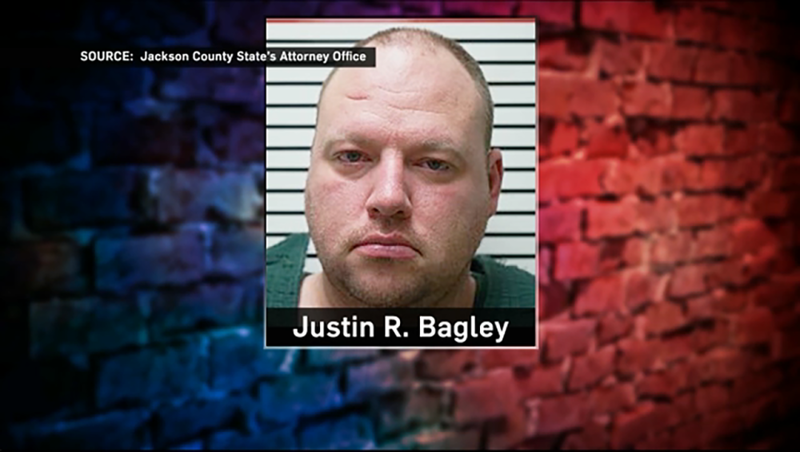 Bagley has been charged in the United States and is currently being held with the Department of Corrections in Jackson County,” said Abela. Bagley was previously arrested for a similar offence against a Walmart in the U.S. in 2005. Police say he has no ties to Taber and randomly selected the community through an app that allows people to listen to EMS radio transmissions. Investigators say Bagley took pleasure in listening to the emergency response to the fake threats. Taber police say Bagley will not be brought to Canada to face charges. “At this time we are not contemplating laying our own charges as the public interest to do so may already be accomplished thought the U.S. law,” said Abela. The State’s Attorney says Bagley faces two to five years’ imprisonment on each of the eleven counts if convicted. Justin Bagley is charged with 11 counts of disorderly conduct in connection to alleged bomb threats made to schools and a business in Taber last week.